The SYSPRO MRP module uses projected and actual demand and supply to assist in planning and creating realistic production, purchasing and supply transfer schedules. It also helps you identify capacity constraints and maintain optimal stock holdings in multi-site and multi-warehouse environments. 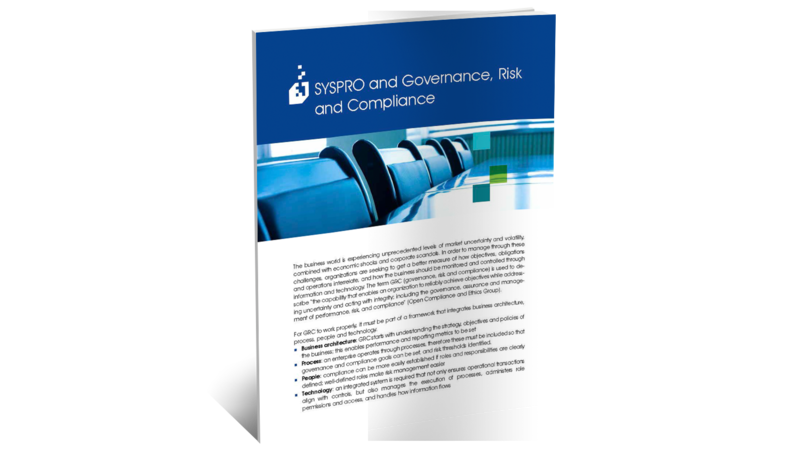 Learn more in our SYSPRO Material Requirements Planning Brochure.